Wellington's last battle in Spain before the French were driven across the Pyrenees. 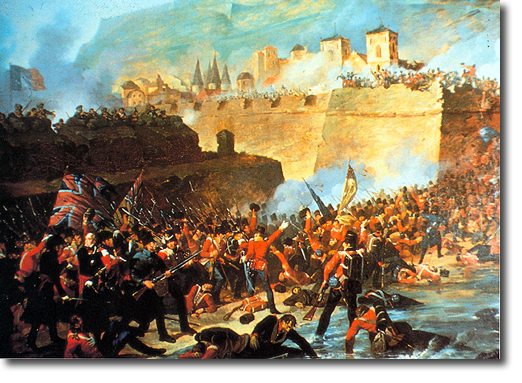 The siege of the fortress of San Sebastian took three months from July to September 1813. A 'Forlorn Hope' assault party of volunteers from the Guards Battalions was assembled, numbering 200 men. Casualties from this brave action were 160.